With the Iran nuclear deal on increasingly shaky ground, Euronews’ correspondent in Tehran, Javad Montazeri, asked the Secretary of the Supreme Council for National Security, Admiral Ali Shamkhani, for his view on the US, Europe and how relations with Iran are progressing. “Unfortunately, Trump is a liar. The US imposes sanctions on Iran, supports the growth of terrorism in Iraq and Syria, and bombards Yemen. “When Trump calls Iran ‘The Terrorist Nation’, or distorts the 2,500 years of history the Persian Gulf has, by calling it the ‘Arabian Gulf’, people realise that they are being targeted,” he told Euronews. The remarks came just days after US President Donald Trump refused to certify Iran’s compliance with the 2015 nuclear deal. In a speech on Friday, he threatened to remove the US from the accord if Congress and US allies fail to agree on amending it to prevent Iran from developing nuclear weapons or intercontinental ballistic missiles. 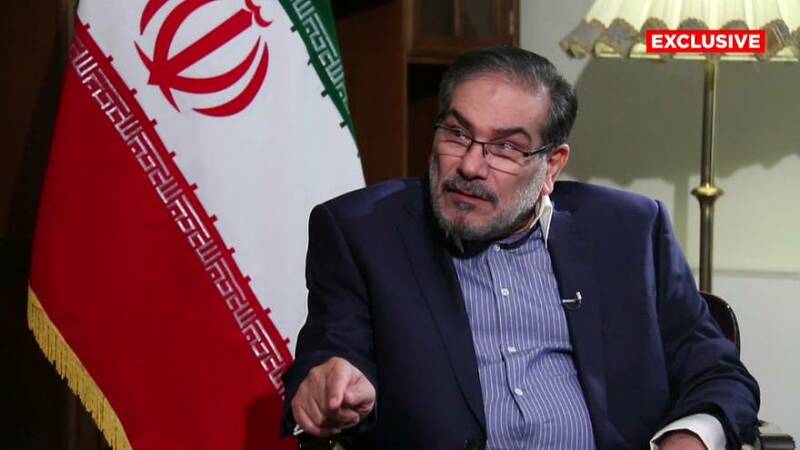 In the interview, which airs in full on Euronews this evening, Shamkhani also insisted that Iran will not back down on its ballistic missile programme, which he characterised as purely defensive. He hit out at US sanctions against the Revolutionary Guard at a time when funerals were taking place for its soldiers killed while fighting the Islamic State (ISIS) in Syria. Euronews also asked Montazeri about Europe’s role since the nuclear deal was struck. “It has always been our plan to develop our ties and relations with Europe within our values and beliefs. However, the truth is that Europe has not done the same since the nuclear deal was signed. “It has mainly paid lip service, with a few exceptions. It is now stating that it is against the elimination of the nuclear deal by the US,” he said.